I AM Unstoppable! 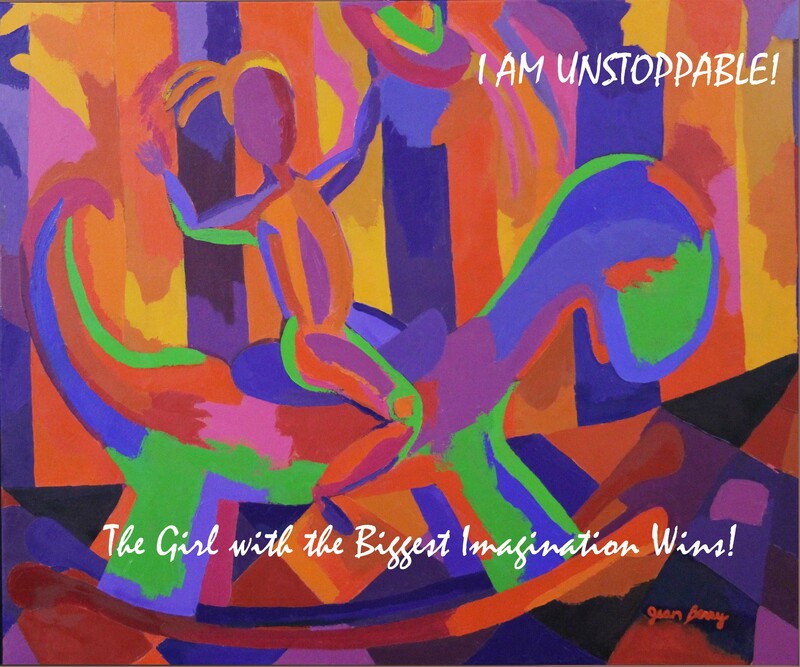 Being unstoppable starts with an idea that moves vividly into the imagination and then into action. I’ve been thinking about the rituals and systems that I use to stay in the “zone”….the Creative Zone that is. When I first started painting, I would paint in fits and starts, whenever the inspiration struck me and I had time, etc. This produced paintings that were sometimes brilliant and sometimes not finished. I would worry after a really great session that the creativity would dry up and I’d never produce another painting. When I started working systematically on staying open, the fear slowly receded and I could fearlessly look at the next blank canvas. I worked with the Creativity Formula and tweaked it so I could be open every day and instantly when I needed to. Being creative is really how well you get out of the way and let the flow and language of your soul show through. At the beginning, you must be vulnerable and full of faith that it will show up. It’s not always the easiest thing to do. The most profound pieces of getting out of the way is clearing old beliefs and limiting thoughts. One of the most valuable self-study ways to do this is EFT (Emotional Freedom Technique). I became certified in EFT to level 3 with Valeris Lis at Courses for Life . You can also get more information about it at EFT Universe. I’ll be hosting a new Meetup starting in September for Creative Professionals. We’ll be practicing EFT, playing games and networking. If you are in the Twin Cities, I hope you’ll RSVP and stop by. I’d love to meet you!